As we get older, our metabolism naturally slows down. The change in lifestyle, from students to working adults, plays a large part in our weight gains and losses too. Many people have tried going on fad diets but they end up on a yo-yo diet, where one loses an amount of weight, and then gains it all back…and then some. The cycle repeats, but it only brings more harm than good for the body. There are a variety of reasons why we gain weight when we enter the workforce – stress and age are some of the most obvious reasons. While you can’t stop your body from ageing, stress is something we can control (or at least, learn to manage). 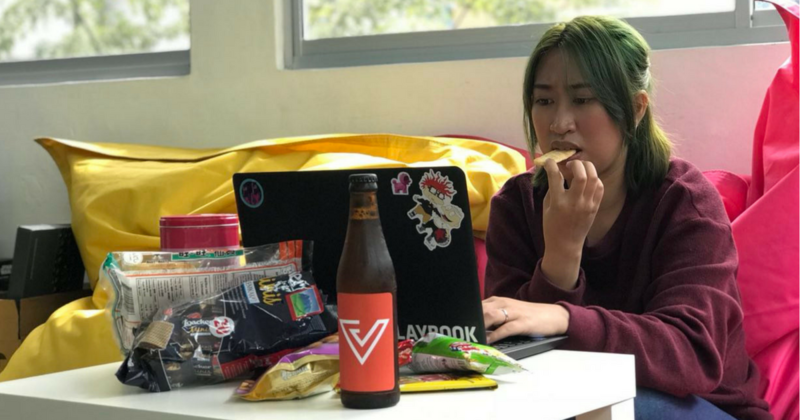 In a JobsCentral online survey in 2013, it found that 61.7 per cent of Singaporean workers have gained weight since starting work, and 16.8 per cent of those surveyed have gained “at least 20kg since joining the workforce”. This is also in line with the results from a Health Promotion Board (HPB) study. According to The Straits Times, the average Singaporean is 3kg heavier than he/she was 15 years ago. Both studies also show that men put on more weight than women, even though women are more prone to gaining weight. While the HPB study showed that the cause of these weight gain was an increase in calorie intake (2 per cent more than their recommended), the JobsCentral survey showed 76.1 per cent of respondents saying it was the lack of time and energy for exercise. HYPOXI® is one such treatment. Founded by Dr. Norbert Egger, a sports scientist, HYPOXI® is a targeted fat loss method that combines moderate exercise and its patented technology of alternating pressure to burn fat effectively. 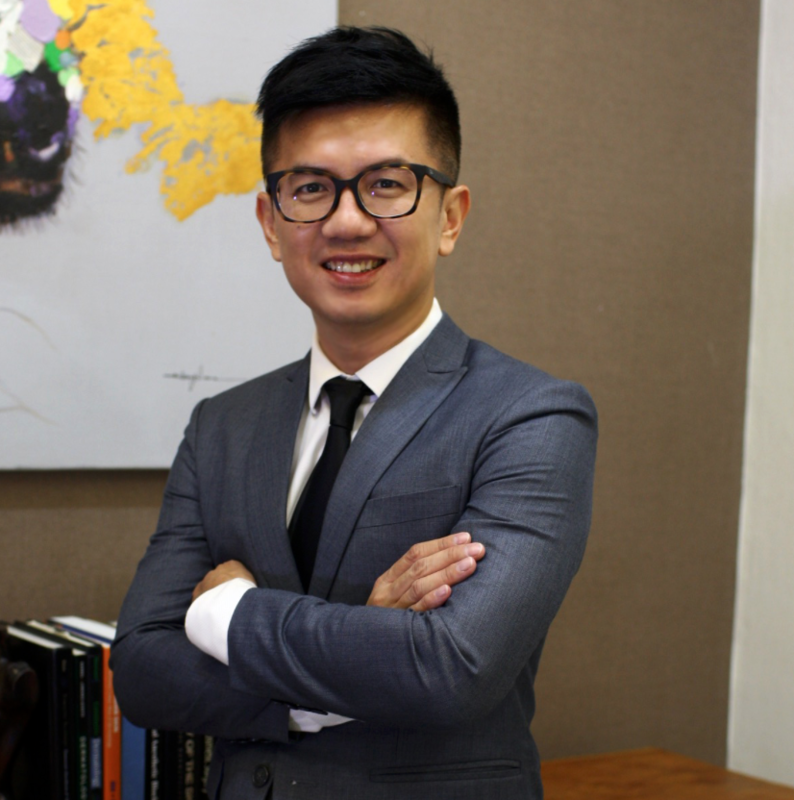 He developed training machines that facilitate fat burning in specific problem areas like the waist, stomach, buttocks, and thighs using vacuum and compression therapy which are proven medical methods. 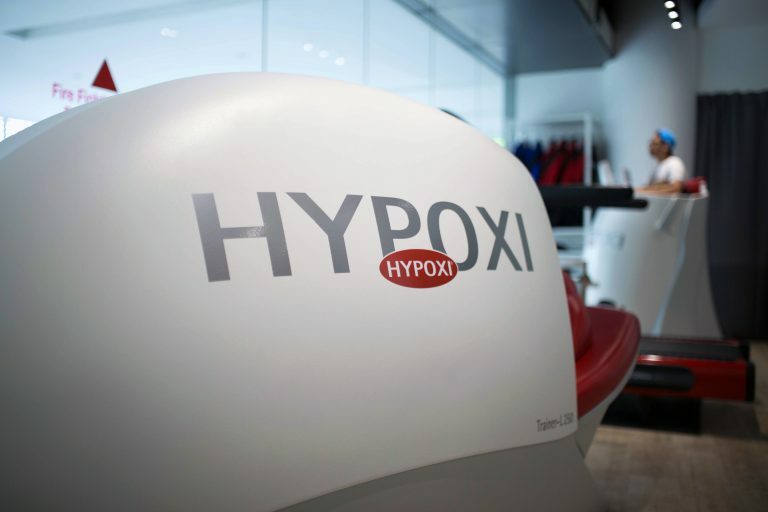 Coupled with exercise which accelerates the flow of fatty acids to the muscles, where they are burnt off completely, this is why the effects of the HYPOXI® are long-lasting. The application of gentle negative and positive vacuum pressure, coupled with moderate exercise will supercharge your workout to specifically burn fat and eradicate cellulite around the hips, buttocks and thighs. The sessions are quick and easy – only 30 minutes in length which means there is no need to slog it out for hours at the gym or with a personal trainer to see great results. The S120 is perfect for the regular exerciser who suffers from severe cellulite or fluid retention. Using the HYPOXI® technology, the Vacunaut system is designed to specifically target fat burning around the stomach and hip region. Used by celebrities such as Robbie Williams, the Vacunaut has been proven to accelerate abdominal fat loss in both men and women. The central feature of the Vacunaut is the complex network of 122 integrated pressure chambers that work on those stubborn areas of your midsection while you exercise. The exercise load is no more than the energy used to brisk walk. You’ll watch your love handles melt away. Studies have shown a Vacunaut user can achieve up to three and a half times greater circumference loss around the stomach area than that achieved with conventional exercise alone. Sticking to an exercise regimen or a meal plan for the diet you’re following can be very difficult. This takes a lot of discipline and willpower to follow, which is rather difficult for the majority of working people. But with the help of a professional and a weight loss plan that is designed to your body’s needs, it doesn’t have to be a chore. Amaris B. Clinic’s customised weight loss program has helped many to lose weight, adopt a healthier lifestyle and take control of obesity-related conditions including diabetes, hypertension, heart disease, and arthritis. Losing the extra kilos is about getting the life-saving and life-changing benefits that come along with it, like lower blood cholesterol, blood pressure, and blood sugar levels. You’ll also have decreased pain, fewer medications, increased mobility and energy, and improved sleep—better overall quality of life. 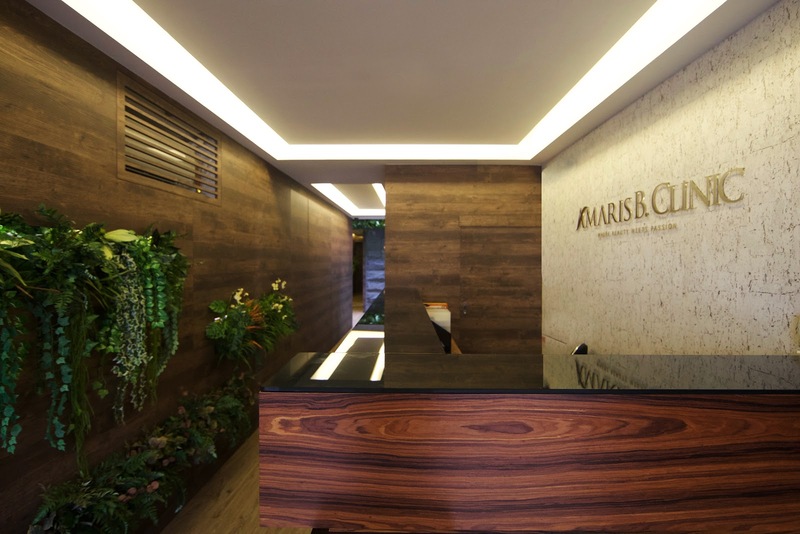 Amaris B. Clinic’s individualised approach to healthy weight loss addresses each client’s unique medical, nutritional, and fitness needs. With that data, they are able to identify realistic lifestyle changes, assist with goal-setting, and start individuals on a path to sustainable weight loss and better health. Even after losing the extra kilos, but stubborn areas of fat have yet to trim? Going on the VASERLipo treatment, a minimally-invasive liposuction technique, can help with that. It can target the fat tissues in specific areas, like the arms and effectively getting rid of those Bingo wings. This can be the solution for extremely stubborn and seemingly impossible fats that can’t shift with just dieting and exercising alone, or sometimes the individual is unable to carry out a vigorous workout regime. VASERLipo uses the most advanced ultrasound technology to break down fat cells, which are then removed from your body through a suction process. The ultrasound energy only targets fat cells, leaving surrounding tissues undamaged, and involves minimal downtime leaving you with more defined and slimmer arms. Guided by Dr. Ivan Puah of the Amaris B. Clinic, who is the leading physician in the field of body sculpting and aesthetic medicine since 2004, you’ll be able to achieve a healthier you and regain body confidence. Kickstart the new year with a fitter you! Check out Amaris B. Clinic’s full suite of weight loss programmes and fat reduction treatments and HYPOXI Singapore’s state-of-the-art fat loss services now! This article was written in collaboration with Amaris B. Clinic and HYPOXI®.